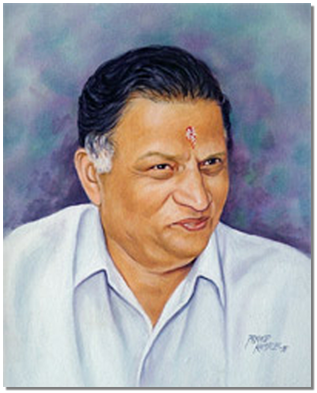 LATE MR. D. V. SALVEKAR. RUSHAS ENGINEERING CO. PVT LTD. is an ISO 9001:2015 certified company and approved under IBR, founded in the year 1980 by Late Mr. D. V. Salvekar he had played an important role in the promotion of the company and has established a strong values base. We are aligned with the boiler Industry and are manufacturing various products for the same like various types of Grates, Valves, Boiler Mountings, Castings etc. We are proud to state that we are leading players in the market with large clientele base like Thermax, Thyssenkrupp, Forbes Marshall, ISGEC, Thermodyne, Samson Control, Neotech Systems, Maxitherm Boilers, Walchandnagar Industries, Super steam Boilers, and many more. Our basic advantage is that we have a foundry & well-equipped machine shop under one roof. We have been supplying our products to various customers Pan India and we have even exported them to United Kingdom, Australia, South Africa, Mexico, Egypt, Dubai, Malaysia, Thailand and many more places across the globe. At RUSHAS we have promoted a work culture tuned to Customer Requirement’s through good business practices. "To manufacture products with Global Standards and achieve the status of prime source to the industry by providing good quality, excellent services and quick response to the customers." "To provide best quality products and services to our clients across the globe." Quality is our main priority and we ensure that our products meet all the international requirements. We submit our products to strict quality checks and inspections by well qualified engineers and supervisors who test them for various parameters like tolerance and dimensions and also the quality of the metal used. The company has also installed quality system as per the requirements of the desired quality standard to ensure our products are flawless & can offer quality service without frequent maintenance problems. We have robust infrastructural facilities with latest equipment required to carry out efficient manufacturing operations. The machinery is operated by qualified personnel, well versed with technological know-how. We have the proven expertise to undertake the bulk as well as small orders successfully. We strongly believe that conception should meet execution and thus keep ourselves abreast of the latest developments and trends in the industry to improve our output. We also lay emphasis on up-gradation of our production unit as & when required. It facilitates our entire production process leading to optimal output. We have an extremely dedicated and hard working research and development team who keep themselves abreast of the recent trends and developments in the market. They are continually engaged in the research programme and work out hassle free models of valves thus enhancing the productivity of the unit. • Our determination to provide quality services at cost effective prices. • State-of-the-art infrastructural facilities with well qualified and efficient team members. • Expertise in handling bulk as well as small orders. • Well coordinated distribution network with excellent after sales service. • Continuous improvement of work processes to achieve maximum customer satisfaction. • Empowered with strong market network. • Quick delivery & better reporting system to inform customer regularly to plan their import. RUSHAS ENGG. CO. PVT. LTD. is one of the leading organizations engaged in manufacturing of Industrial Valves, Ferrous & Non Ferrous Castings. We are into the business of manufacturing various types of Graded Cast iron Castings, SG Iron Castings, Alloy Steel castings, Stainless Steel Castings, Non ferrous castings such as Gun Metal & Aluminum etc. We have in-house pattern maintenance & Manufacturing facility. RUSHAS ENGINEERING CO. PVT LTD.
B-6, Maharashtra Industrial Development Council, Near MIDC Police Station, Ahmednagar - 414111, Maharashtra, India.